As reported previously on this blog, Arctic sea ice rebounded this summer. 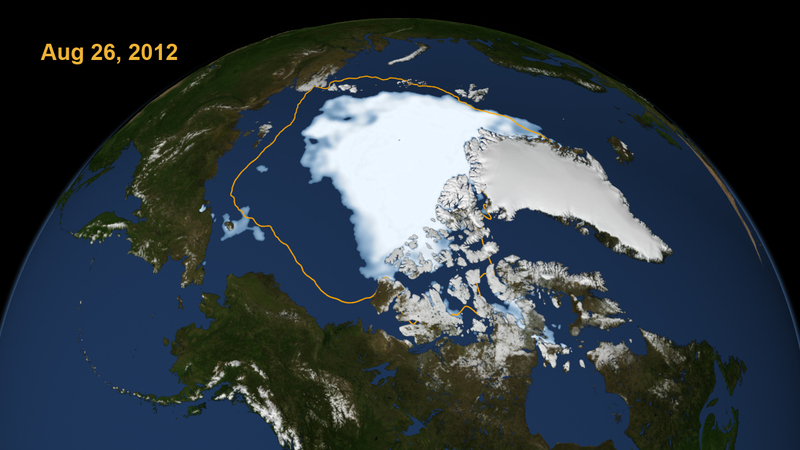 About half of the sea ice survived the summer melt. Last summer's sea ice hit a record low. The rebound did not seem to surprise some scientist because two record lows in a row have yet to be recorded since Arctic sea ice levels have been tracked. During my visit to the Arctic (Aug. - Sept. 2013), on-board the USCGC Healy, many observers commented on the relative abundance of polar bear sightings. This news of a sea ice rebound would also be welcome to the native Inupiaq peoples of Alaska, since subsistence hunting of whales is a continuing cultural practice. More on the Arctic sea ice rebound here.